Print media might be suffering at the moment but that hasn't stopped Japanese magazine Famitsu's influence in the industry. The veteran publication is still seen as something of an authority - both in its native homeland and the West - so the news that it has awarded New Super Mario Bros. Wii a perfect score of 40/40 is obviously a big deal. Our very own Corbie is obviously in agreement as he awarded the game 10/10 when he reviewed it recently. For those of you that don't know, the magazine rates a game by getting four staffers to give it a score out of 10. Those scores are then added up to give the title an overall mark out of 40. Only a select few titles have earned a perfect rating in Famitsu previously - including the likes of Legend of Zelda: Wind Waker, Nintendogs and Smash Bros. Brawl. Now you really have no excuse not to go out and buy it, if you haven't done so already. glad someone else agrees that this is a revolutionary Mario game well done Famitsu . A 40/40 from the Famitsu used to be a big deal, but during the last couple of years it has been awarded so often, it has lost just about any meaning or credibility to me. I have lost all faith in Famitsu now. This is a 7/10 game. I hope Bayonetta is actually good now that I hear this. Famitsu is rather liberal with perfect scores. I thought Famitsu's reputation is fairly low these days, generally being seen as buyable. For the record, Famitsu awarded Galaxy with 38/40 and Mario 64 with 39/40. I'll let you duke it out. I think with New Super Mario Bros Wii you'd struggle to find reasonable flaws but with Galaxy its a little bit easier. For a start New SMB Wii didn't have the equivalent of the "spring suit" and because its a 2D platformer it can be hard without worrying about being disorientating. Galaxy also had the almost tacked on attempt at a story line while New SMB Wii accepted that its Mario and doesn't need it. Could it be... games are getting better? I think this is an excellent game. I don't really care about scores as they are subjective, we will always disagree with each other about some aspect, but personally - this is the best game I've played in a long time. The pressure on magazine reviews is they are expected to represent an objective view - which can never match with everyone in their readership. If anyone doubts the remarkable level design, watch some of the 'Super Skills' videos, this is a 2D platformer honed to perfection. I think its the third Wii game with a perfect score. Nintendogs got a perfect score! ?Ah well, I trust Corbie more than Famitsu anyways, and they agreed with corbie's score! I can't wait till I get this game. It's so popular, on the drive home from church, my parents started talking about how fun it looks, and they are not video game players-they are the ones that walk into the room at random times and say that's a one player game. Turn it off. To get a 40 from Famitsu is a huge honor. I think what some people need to remember is that this isn't one person saying "this deserves a 40." This is four people who, though might discuss the game itself, don't discuss the scores they're going to give it. It's feasible for all four people to say "this deserves 10 out of 10" because, frankly, it does. I'm actually surprised more games don't get 40s, though I'm sure there are some Craig Revel Horwood wannabes working for Famitsu who tend to be a bit harsher than others. And I'm sorry, but there's no way in hell NSMB Wii is a 7/10. Famistu certainly gave the right scores for NSMBW, SSBB, and the Wind Waker. But, Nintendogs does NOT deserve that score! Can you please explain why Nintendogs does not deserve 40/40 please? Considering each individual category that is usually scored such as presentation, graphics, sound, gameplay, lastability, replayability etc, I personally can't see a single good reason why the hell it shouldn't get 40/40? I mean as far as I'm concerned it still has some of the best graphics, animation and sound on the console, and it uses the features of the DS better than almost any other DS game I can think of. The controls are really good and really draw you into the game, things like throwing a Frisbee with a flick of the stylus or dragging the dog on the leash and flicking to make it run or rubbing it's stomach with the stylus etc etc, or calling the dog and telling it to roll over and jump and sit down etc etc. There's loads to collect and discover. You can play the basic game almost endlessly if you want to. It's just a completely well rounded and highly polished game in every respect. Seriously...what the hell more do you expect from a DS game or any game for that matter? The single issue I had with the game was that it took too long to get enough money to buy the later houses in the game, but I wouldn't knock any particular scoring in any category for that because all it means is that I would have to put a lot of time into earning those house but I personally couldn't be bothered. I really don't get the hate for that game. I do have an excuse. I have no rupees (to buy games for MYSELF) right now. But I can settle for playing in a month. I agree with everyone who notices that Famitsu is much softer on the ratings these days. Seems to be a pretty common trend. All I know is that even Nintendo Power gave it a 9. This game has its share flaws if you can get over the nostalgia factor which is not easy for some. I think Galaxy 2 will make a stronger case for a top rating because it takes advantage of what the Wii is truly capable of. @Kirk-Because I played that game, and it is a good game, but it is a pet simulator. The game does not deserve a 10, it is not THAT fun. NL gave Nintendogs a 7, and I agree with the score. 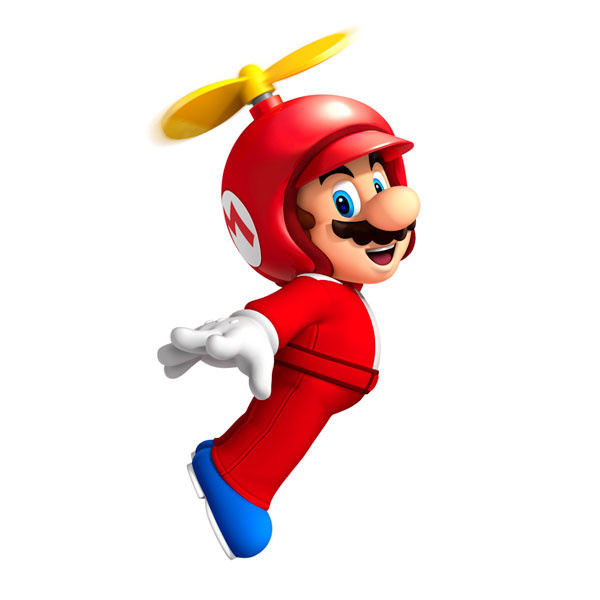 One of the best Mario games on the Wii. Same with Mario Galaxy. That's not how Famitsu scores work, each game is awarded a score out of ten by four people and they simply combine their scores to give a score out of 40. Well, you heard it here first folks! Regardless of how great it is, a pet simulator CANNOT be that great. Seriously though, I'm agreeing more with Kirk because at least he's willing to give reasons why it's good. You're simply saying that because it's part of the pet simulation genre it automatically makes it a seven. I enjoyed the game when it came out, and actually got two versions. It was unlike any pet simulation game before it, and part of me says that it actually does deserve a 10. The other part of me says "GIVE IT A 2" since it started the pet simulation craze. "Comments do support basic [bbcode] style formatting." Oh great, I see that after I post! games just aren't what they used to be; in a good way. so what do we do? Up our standards by enough so that anything not 3-D enough, online enough, or photo realistic enough has to get lower scores? Can we not rate games on what they make us feel? The technology has clearly allowed games to become an art form on par with film. How they make us feel is part of the pleasure of a great retro styled release, and 2-D platforming can live on indefinitely in it's original form but with more and more polish on a new console. So if we are to judge NSMBwii against any other 2-D platformer that has come before it, it is clearly the best there is and easily justifies such a high score even today. It can't be judged against Galaxy, or Halo, or Resident Evils. Gaming is at a different place now. Should we really complain that there is such a flood of great material that high scores are really pretty easy to give out when you try to keep each one in it's proper context? If you prefer to judge each game on how it stands against every other game ever, or even every other game out right now it's just... well good luck with that. When a real new mario bros game comes out and Miyamoto had anything to say about it, it's an event that's hard to top, but nowadays takes a little context to try and review. Famitsu certainly has that. @Bentendo-You don't see the point, the game was simply not that fun. It was good, but not fun enough to deserve a 10. I feel similarly--8/10 maybe, great platformer...but it was Mario DS with some kinda iffy tilt/motion added in. Definitely not 40/40 by any stretch...not even 36/40 imo; similarly worried about Bayonetta. There is some fantastic polish (I will never tire of the koopas/goombas dancing to the last 2 notes in the main phrase) but yeah...40/40 is absurd. I have no doubt this game is great. I will pick it up soon. Hey, you stole my avatar! Amazing game. GOTY for me. Finally a group of Reviewers besides Nintendolife's own Corbie that see the awesomeness and greatness of New Super Mario Bros Wii this is way i now hate IGN and Gametrailers and i don't even want to hear Gamespot's stupid excuse.
" i don't even want to hear Gamespot's stupid excuse"
Perhaps the reason games are getting better scores is because games are getting better? Just throwing that out there. After a weekend of some fantastic multiplayer, I must concur with the perfect score. If you have at least one friend and two Wii remotes, this is a required purchase. It shoudl be 39/40 for Super Mario 64, the worst amrio i ever played makes it must to be 40/40. Oh and Nintendo Life Gradius Rebirth also should 10/10 as there isn't any wiiware i played more. Mario never fails... and it still shows that great games deserve great scores, not because of their graphical capability or online features alone! @Prosody I guess so.... Wait til next year! I think you'll faint when the big guns start shelling out! The fanboyism has reached critical levels in the comments for this story. We may have to amputate to save the rest of the site from rampant douchebaggery. No, this isn't crazy, the score is accurate. All I can say is, this game reached a 10/10 for me when I threw my sister off a cliff to get a star coin. Classic. This is a 10.No doubts about it.It deserves the score plain and simple.I just don't see how anyone couldn't get enough enjoyment from this game. I guess I'm easy to please and after such a long wait for a "good" 2D platformer I'm just glad we finally got one. Not that i care about reviews but I'd say that 10 is accurate enough for this type of game. Well deserved if you ask me! I have it and it is a good game. Wow, that's a shocker! The Japanese are praising themselves. Yeah, I'm kind of pissed that it's scored lower than Guitar Hero 5, since most reviews knocked off points for a "lack of innovation." Can someone please tell me how Guitar Hero 5 innovated? Oh wait, it has DLC, so you can buy more songs and do the exact same thing you've been doing since Guitar Hero 1 (or at least world tour if you're using the whole band). Lack of innovation = code for no online I suppose. I'm not knocking GH5, but the reason NSMB Wii got a lower score is sort of bs, since it's basically just a more polished Guitar Hero. Guess I don't have the same definition of innovation as IGN and company. 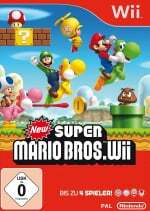 Though I suppose DLC is pretty innovative on the Wii, but it's still the exact same game, unlike NSMB which did innovate the 2d platforming Mario game with the addition of local multiplayer. I don't know if I'd give it 10/10, but I do prefer it to Galaxy (which I do like a lot), and it does deserve better scores than it's been getting. Just because it's not in 3D and HD, and is not online, you'd think it's the worst game ever from some of the reviews. Of course, those things are just knobs and polish, and it's one of the most depressing fallacies in modern video game thought that they're anything but.